You'll be £25.00 closer to your next £10.00 credit when you purchase Military Low Flying in the UK. What's this? Mainland UK has some of the most dramatic landscapes for RAF, RN, British Army, USAF and NATO pilots to train in the important skill of low flying. It also offers splendid opportunities for photography of close-up dramatic shots taken from usually remote hillsides and mountains of Wales, England and Scotland. Pilots training for operations in Afghanistan, Iraq and other potential war zones learn their skills flying through the valleys of the UK, sometimes at near subsonic speed. In a low level environment aircrew are at work; sorties are flown as part of an intensive training schedule or to hone already developed skills. Low level flying is not for the benefit of spectators. For those prepared for sometimes long, cold days on hillsides the opportunities are unique as nowhere else in the world is it possible to photograph low flying military aircraft. And un-like pre-planned air show displays, none of the photographs in this book were staged. This is the first book to be published anywhere on the subject of military low flying. A percentage of the royalties from the sale of this book will be donated to the Royal Air Force Benevolent Fund (RAFBF). This is an unusual subject and is copiously illustrated with RAF and FAA aircraft flying past hillsides. Being in landscape format allows wide-page illustrations. A specialised volume but with many excellent illustrations to browse through. For military aircraft enthusiasts and for keen photographers this beautiful book is a ‘must’. My favourite is on page 159, a BAc Dominic TI cruising through the M6 pass in Cumbria on a low level navigation sortie. It’s often said that a pilot’s job consists of hours of boredom punctuated with a few seconds of sheer terror. It’s kind of like that for the photographer who lies in wait for an aircraft too. The closest thing most of us ever get to a low-flying aircraft is near an airport runway (one of my favorite pastimes as a kid who steadfastly believed hearing loss was only for old folks). Out in the countryside, a military jet at speed coming straight at you is an oddly paralyzing experience and when it howls by 100 feet above your head it rattles every molecule in your body. The shockwave leaves you breathless, literally. So does this book, figuratively. From modern jets to vintage bombers (Lancaster) to helicopters, Leek shows British and NATO pilots practicing a critical skill. Few places other than the US are large enough to contain military flight training to ranges that can be kept off-limits to the public. This makes the prime mainland low flying areas (LFAs) in Wales, England, and Scotland ground zero to amateur photographers. Conveniently, the UK offers varied terrain—sea, mountains, valleys all within spitting distance of each other and each has its own distinct flying conditions. This is very much a book by a practitioner for practitioners, or at least aspirants. Photographic technique, equipment, and situational awareness are explained in great detail. The author is a trained illustrator who went on to head the School of Illustration at Arts University College Bournemouth before becoming Director of Studies at Cordwainers College (now London College of Fashion). After juggling academic and commercial work, he finally started his own business in 2008, concentrating on aviation photographs that have been widely published and garnered accolades. It is this relatively recent switch that accounts for the fact that this book is the first on this particular subject. The book was to have contained commentary from active aircrews but while bureaucratic obstacles prevented any officially sanctioned statements, a number of current and former flyers contributed insights anyway. Leek uses his own photos as well as those of 14 colleagues. A key element in this type of photography is that the photographer be positioned above or at least level with the aircraft and to capture it “land-locked,” i.e. in relation to the surrounding landscape. Obviously, only very specific locations lend themselves to this sort of set-up. This results in totally different images than, say, airshow photos that are usually shot from below, showing the aircraft silhouetted against the sky above. Also unlike staged airshows that always have to keep public safety in mind, real-world military flying demonstrates very different aircraft maneuvers. All around then, this book shows many things few of us ever get to see. Not only that, this book is, even if only inadvertently, becoming a record of certain aircraft that will increasingly disappear from the skies. Before Leek started this project, some LFAs saw as many as 30–90 aircraft movements a day; now there are entire days “on the hill” with only “blanks.” The reason, in the UK, are drastic defense cuts legislated in 2010. Governments can hardly be expected to keep military planes in service just so that photographers have something to do, and while neither the book nor this review are the place to discuss policy issues, Leek is immensely critical of decisions by “inexperienced politicians” that put at risk the defense of the realm. Be that as it may, the Tornado F3, Harrier, Nimrod and Dominie are going to be cut and the Dominie and Typhoon are gone already, and by 2015 Britain will have only three remaining operational RAF fast jet stations. So as to be as current as possible, Leek chose to only include photos later than 2007. This means that the SEPECAT Jaguar, which was mustered out of RAF service that year, is already missing here. Leek first discusses his own background and interests, his initial indifference to photography (and his dislike of film! 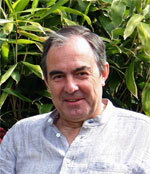 ), the impact of digital photography on this genre, the organization of this book, and several of his colleagues. The following survey of the tactical and operational reasons for teaching low-level flying, along with descriptions of the curriculum, aircraft and bases, naturally segues into a criticism of the aforementioned 2010 defense cuts and the dangers of discontinuing constant and regular training. With chapter 3 Leek literally sets the scene by describing the topographies of specific LFAs. Reading this section attentively yields important insights for better appreciating the fly-past photos that make up the bulk of the book. By definition, these photos are close-ups—sometimes so close that you see the pilot looking at the photographer!—and the background landscapes give little or no context for elevation, steepness, proximity. Only seeing first sweeping shots of hill and dale, the tight canyons out of which aircraft may come streaking up at the photographer, or the narrowness of riverbeds will give you an essential frame of reference. Chapter 4 is a veritable “Photography 101” crash course, from photo equipment to software to costs to how to dress for a day in the sticks. While brief, this chapter is not at all generic and Leek is to be commended for sharing his knowledge freely. Chapters 5–7 are photo galleries, divided by area. So as to not rob the photos of their visual impact, these pages contain no text. All photo captions are instead located at the back of the book. Listed by page number they disclose location, aircraft, the scene in general, lens, exposure, f-stops, speed, photographer. Nothing useful that does the photos justice can be said here—you have to see them! One thing they cannot do very well is give a sense of scale. Just realize that the small speck you see in the sky is really the size of a city bus! (Actually, there is one photo of a Puma buzzing a bus.) And, it might not have made much of a photogenic shot but a photo of low flying at night would have been interesting. This is the very first book to be published anywhere on the challenges of photographing low flying military aircraft and helicopters usually from remote and mountainous locations in mainland UK. It includes photos of all major British aircraft, and some NATO visitors, who use the UK low flying areas to carry out importantly vital low flying training from July 2007. Military aircrews who push themselves to the limit as they undertake low flying training across the country are the subject of a stunning visual tribute and publishing world first by a local author. …featured breath-taking full-colour photographs plus an informed text. Low- flying military aircraft have become a feature of life in Scotland’s mountains and glens where, to the onlooker, they provide the most spectacular of aerobatic displays. Mr Leek said: ‘Low-level flying is not for the benefit of spectators – unlike preplanned professional air show displays. None of the photographs in the book is stage managed. ‘The close-up shots, which ate quite dramatic, have been taken from the hillsides and mounts of Scotland, England and Wales. ‘Supported by the text, the boo is a visual tribute to the air crews, and those on the ground, who test their skills daily in such an exacting environment. 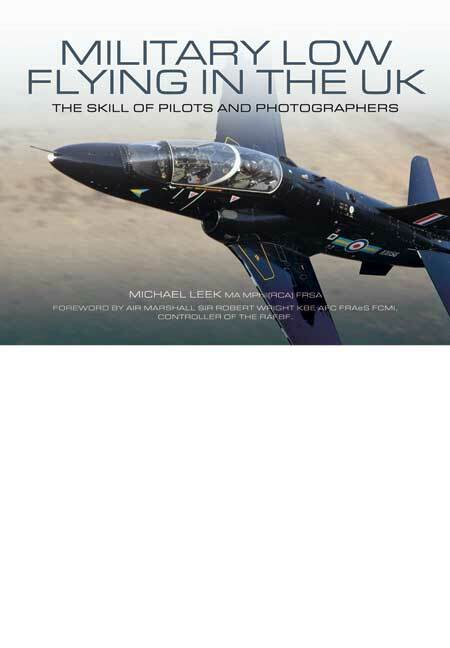 …contains expert advice for the photographer, together with stunning close-up colour photos of aircraft flying at eye-level and sometimes below the camera. This book is a collection of some stunning full colour photographs of a selection of military aircraft using Low Fly Areas in the British Isles. This book may inspire photographers to develop into this photo niche, but it will also be appreciated by aviation enthusiasts and professionals. A Moray-based author’s latest work is the first book in the UK to feature photographs of low-flying military aircraft.